WASHINGTON (AP) — As he threatens to shut down the southern border, President Donald Trump is considering bringing on a “border” or “immigration czar” to coordinate immigration policy across various federal agencies, according to four people familiar with the discussions.Trump is weighing at least two potential candidates for the post: former Kansas Secretary of State Kris Kobach and former Virginia Attorney General Ken Cuccinelli, according to the people, who spoke to The Associated Press on condition of anonymity because they were not authorized to discuss the conversations publicly.Kobach and Cuccinelli are far-right conservatives with strong views on immigration. 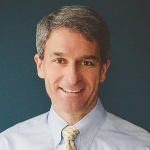 Cuccinelli was seen at the White House on Monday. The planning comes as Trump is threatening anew to close the U.S.-Mexico border as soon as this week if Mexico does not completely halt illegal immigration into the U.S. And it serves as the latest sign that the president plans to continue to hammer his hardline immigration rhetoric and policies as he moves past the special counsel’s Russia investigation and works to rally his base heading into his 2020 re-election campaign.Aides hope the potential appointment, which they caution is still in the planning stages, would serve as the “face” of the administration on immigration issues and would placate both the president and his supporters, showing he is serious and taking action. White House press aides, Kobach and Cuccinelli did not immediately respond Monday to requests for comment.